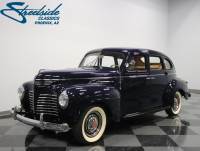 ...GET IT SHIPPED Free Auto Shipping Quote: 1940 Plymouth Sedan flathead 6 runs well three speed on the column suicide 4 door Really cool car. ...GET IT SHIPPED Free Auto Shipping Quote: 1940 Plymouth Hot Rod, Suicide Doors, Fairly complete & solid. 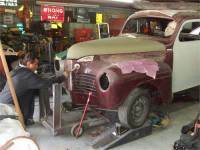 ...GET IT SHIPPED Free Auto Shipping Quote: 1940 Plymonth Road King Car is running drivable.